The unique Shangri-La experience is created by our people who keep hospitality at the forefront and genuine from the heart. Let’s see how our colleague Master Sommelier in Hong Kong, Yohann Jousselin, perform his duty with passion and joy. Your role is what some people may dream of. Can you share with us what are your duties? What is the most difficult part of your job? I ensure that all wine lists in all the restaurants are up to date and that we only serve the as high quality wines as possible at a competitive price. I like being creative with my wine lists and as such I am always looking out for new wines. I also do wine training for my colleagues to continue to elevate the high standard of dining experience in different restaurants. During lunch and dinner service, I’m usually on the floor interacting and serving guests. This is also the best time that I get to connect with guests and turn them into regular customers. I think the most difficult part of my job is to stay on top of the market and to ensure that we are better than our competitors in terms of wine selection, pricing, delivery and service. How did you discover your passion for wine? When did you decide to become a sommelier? My fond interest in wine grew from an early age when I started to help at my uncle’s vineyard in Loire Valley, France before attending wine school. That’s when I decided to pursue a career in wine and moved to the United Kingdom to broaden my horizon. I had an opportunity to work at Hotel du Vin, where I was mentored by Master Sommelier Dimitri Mesnard who encouraged me to enter competitions in order to enhance my wine knowledge and develop my skills as a sommelier. I was named Young International Sommelier of the Year in 2009 and U.K. Sommelier of the Year in 2011. What is your personal favourite wine? Why? I don’t have a favourite wine but I’m someone who like to discover new wines / wineries. I’m keen on trying new wineries in areas such as Eastern Europe – Slovakia and Hungary as well as upcoming areas including Uruguay, Greece and Brazil. But if I need to stick to one region, then that would be Bordeaux. Do you still remember your first glass of wine? What was it and how did you feel at that time? In France, we start drinking wine at a young age, usually 9 to 10 years old. It was probably a wine from the Loire Valley where I am originally from and was given to me by a family member. If you were not a sommelier, what would you be? When I was young, I really loved playing football and I thought I would be a professional football player when I grew up. I also love teaching and developing people’s skills which is something I’m able to do now as I can share my knowledge of wines with my colleagues. What makes a good employer brand? Whether it is consumer goods or services , a brand name seems to impinge on a public’s consciousness. It is no wonder that millions are spent on advertising to create brand awareness. When I stepped into my talent acquisition role, I was inundated with candidates who wanted to join the Shangri-La Group. As I conversed with candidates, I realized that the name of Shangri-La struck a chord with candidates. What I took for granted was what they desired – a brand name synonymous with the upper echelons in the world of hospitality. True, Shangri-La offers endless possibilities with its vast number of hotels but there was something else that was more intangible. Speaking to those who were formerly from the Group, there seem to be a consistent thread: Its People. In recent months, the world of social media got a glimpse of the people behind the Shangri-La curtain. 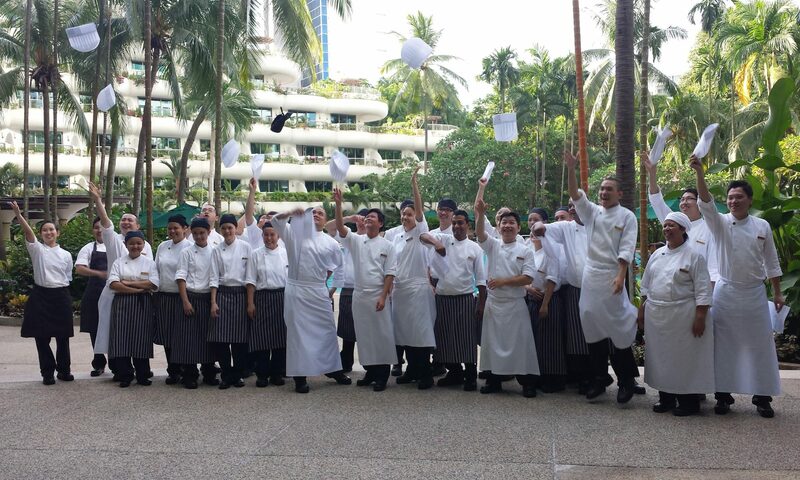 Recent campaigns such as the #5StarsChallenge, #ShareASong and #HIStory/#HERstory created a buzz online and showcased the employees who made Shangri-La what it is today. As we sought to create awareness of who we are as an employer, we received a pleasant and unexpected accolade from the Employer Branding Institute. On 4 August 2016, Shangri-La Hotels & Resorts along with Shangri-La Hotel, Singapore were proud recipients of the Asia’s Best Employer Brand Awards 2016. Standing side by side with other renowned brands across all industries, it was a crowning glory moment and a celebration of our people – the Shangri-La family. For that is where lies the true spirit of the Shangri-La.